The endangered Speke’s gazelle is the smallest type of gazelle. Its legs may look delicate, but they are strong! Although gazelles can’t run as fast as lions on the African plains, they’re more nimble and have more endurance. Speke’s gazelles have an impressive nasal sac that inflates when the animal is excited or alarmed. The inflated sac amplifies their honking alarm call. Speke’s gazelles are part of AZA’s Species Survival Plan®. 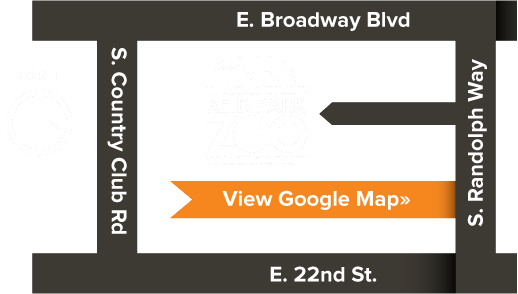 Reid Park Zoo houses a herd of males that are not currently needed for breeding at other Zoos.